Corneliu Rusu recently graduated with an MSc in Epidemiology under Dr. Colman’s supervision. He holds an MD and an MSc in Biostatistics. He previously worked for the Public Health Agency of Canada’s Centre for Chronic Disease Prevention and Control. He currently holds an epidemiologist position in the Directorate of Mental Health at the Department of National Defense. His primary research interest is machine learning in mental health, with a focus on clinical decision support and clinical program evaluation. Dylan Johnson completed his MSc in Epidemiology under Dr. Ian Colman’s supervision. He holds a Bachelor’s degree in Psychology with a minor in Neuroscience. He currently works at The Children’s Hospital of Eastern Ontario as a research assistant, specializing in psychiatric research in the emergency department. He is also a Director of Professional Development for the Canadian Society for Epidemiology and Biostatistics at The University of Ottawa. His primary area of research is mental health, specifically looking at early life predictors of suicidality in adolescence and risk-model development. 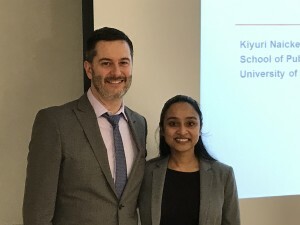 Kiyuri is a recent graduate of the PhD program. She also holds a Bachelor of Science degree with double majors in Biology and Psychology from the University of Victoria, and a Masters in Epidemiology from the London School of Hygiene and Tropical Medicine. Her previous work experience includes a role as Polio Coordinator with the Polio Eradication Initiative, with fieldwork in India, Afghanistan and Pakistan. Her research interests include mental illness and chronic disease comorbidities, and her doctoral research was supported by an award from the Ontario Mental Health Foundation. For this project, she worked with collaborators at the Norwegian Institute of Public Health to explore associations between depression and anxiety comorbidities and Type 2 diabetes complications and mortality. She currently holds a surveillance epidemiologist position with the Department of National Defense. Michael Martin was the first PhD graduate of the APEAL lab. He was the Chair-elect of the student section of the International Association of Forensic Mental Health Services, and an alumnus of the CIHR Social Aetiology of Mental Illness training program at the Centre for Addiction and Mental Health. He previously worked for the Mental Health Branch at National Headquarters of Correctional Service of Canada, where he was involved in the development of a mental health screening system offered to all inmates upon intake to prison. Michael’s primary research interests are on the intersection between mental health and justice outcomes. His thesis research explored the effectiveness of this screening system to detect mental illness in prison and to reduce rates of violence, self-harm, and suicide during incarceration. Christine was a senior research associate in the APEAL lab. She joined the lab in June 2016. In 2012, she completed her M.A. in Psychology at Carleton University and is currently working on her PhD. Prior to joining the lab, Christine worked as an analyst and methodologist at the Shirley E. Greenberg Women’s Health Centre. Christine is currently working with the Department of National Defence on a research project that examines stigma as a consequence of care-seeking in the Canadian Armed Forces. Nathalie was a research associate in the APEAL lab from 2015-2016. Nathalie holds a BSc. in Neuroscience from McGill University and an MPhil in Public Health from Cambridge University. Her thesis addressed early life risk factors for psychosis and schizophrenia, and specifically looked at the role of the immune system and infections in early life. She graduated in 2015 and soon after joined the APEAL lab. She extended her thesis work in the APEAL lab, looking at early life risk factors for additional mental illnesses, including depression. Nathalie is now attending medical school at McGill University. Murray was a Research Associate in the APEAL Lab from 2012-2015. During his time in the APEAL lab, he led a series of projects using the National Longitudinal Survey of Children and Youth to examine the development of anxious and depressive symptoms in children and adolescents. He also worked at the Department of National Defence in the Directorate of Mental Health, where he conducted research examining the mental health of Canadian Armed Forces personnel. Murray now works as an Epidemiologist in the Directorate of Force Health Protection at the Department of National Defence, where he is conducting health surveillance research involving the Canadian Forces Health Information System and the Canadian Forces Cancer and Mortality Study. Marc-Andre Belair was an MSc candidate in Epidemiology under Dr. Colman’s supervision. His research focused on how sedentary and physical activity may be related to mental health. Marc-Andre was the fun guy in the lab, and we are sad to see him go. Jen completed her MSc in Epidemiology at the University of Ottawa Faculty of Medicine under Dr. Colman’s supervision. Her thesis research focused on early life predictors of adolescent suicidal thoughts. As a research assistant in the APEAL lab, Jen was involved in projects investigating temporal trends in mental health, the link between use of preventative health services and mood disorders, and the links between child abuse and suicidality. After working at Public Health Agency of Canada and the Mental Health Commission of Canada, Jen will be completing her PhD at University College London, investigating the social and spatial determinants of psychotic disorders. 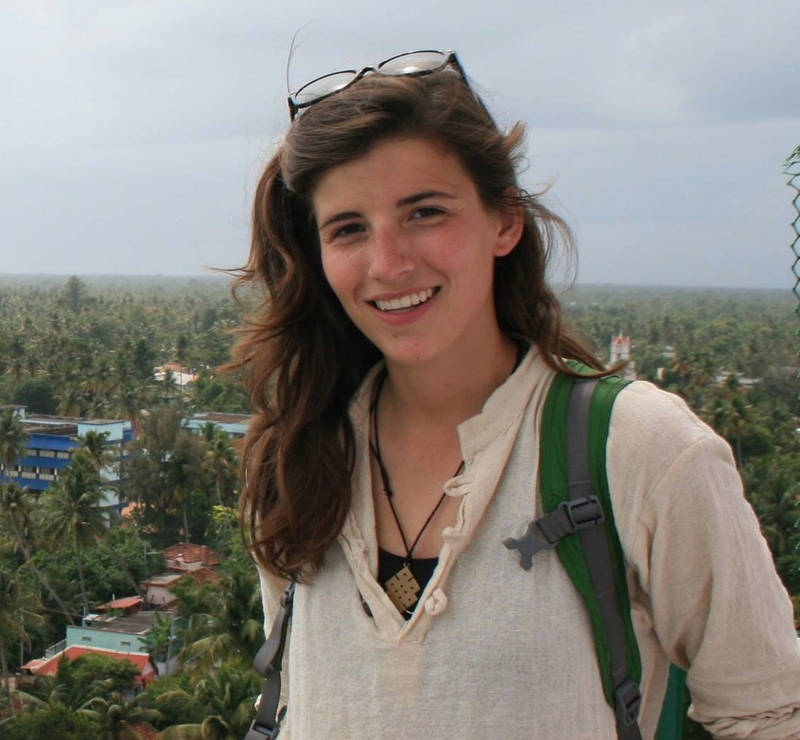 Seanna was a Research Analyst in the APEAL Lab from 2011-2013. 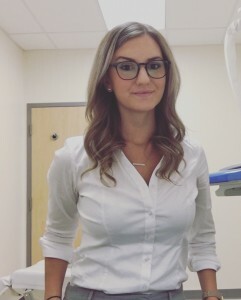 Seanna completed a BSc in Life Sciences and Health Studies at Queen’s University in 2009, followed by a MSc in Epidemiology at the University of Alberta School of Public Health where she joined the APEAL Lab. Her thesis research focused on the relationship between diet and mental health in Canadian children. Seanna was involved in several APEAL lab projects including further studies of the association between diet and mental health, and factors that protect adolescents against depression as they enter adulthood. Yasmin completed her MSc in Epidemiology at the University of Alberta School of Public Health under Dr. Colman’s supervision. Yasmin’s thesis research focuses on the relationship between traumatic events in childhood and cardiovascular disease in adulthood. Yasmin is currently working as a Research Coordinator at Western University. Maeve completed her MSc in Epidemiology at the University of Alberta School of Public Health under Dr. Colman’s supervision. Maeve’s thesis research focused on the relationship between maternal depression in childhood and risky health behaviours in adolescence. Maeve is currently a PhD student at the University of British Columbia. As a research analyst with the lab Anushka worked on a variety of projects, but primarily investigated the relationship between low birth weight and depressive symptoms in the National Longitudinal Survey of Children and Youth. Anushka is now a PhD candidate at the School of Public Health at the University of Alberta. Her thesis investigates the ideology underlying family planning decision making in rural Khyber Pakhtunkhwa, Pakistan. Mzi was visiting PhD student from the University of the Witwatersrand in South Africa. At the APEAL Lab, she completed a project that investigated the association between depression and risky sexual behaviours. Mzi is currently an associate professor in the School of Human & Community Development at the University of Witwatersrand. 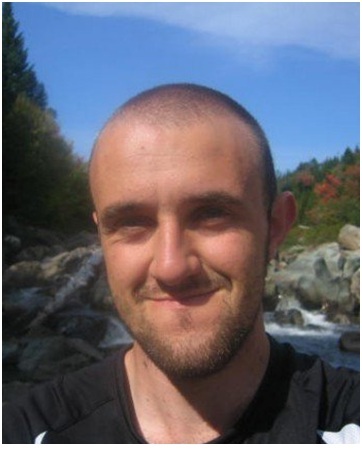 Jason recently completed his MSc in Epidemiology at the University of Alberta in 2010 at the APEAL Lab. Jason’s MSc research was an investigation of how we assess patients for self harm risk in the emergency department. Jason is currently pursuing his Phd from the University of Manitoba. Rebecca completed her MSc in Epidemiology at the APEAL Lab. Her MSc thesis was an investigation of the relationship between early cognitive development and adolescent depression. Rebecca is currently working as a research analyst for Eastern Health in St. John’s Newfoundland. 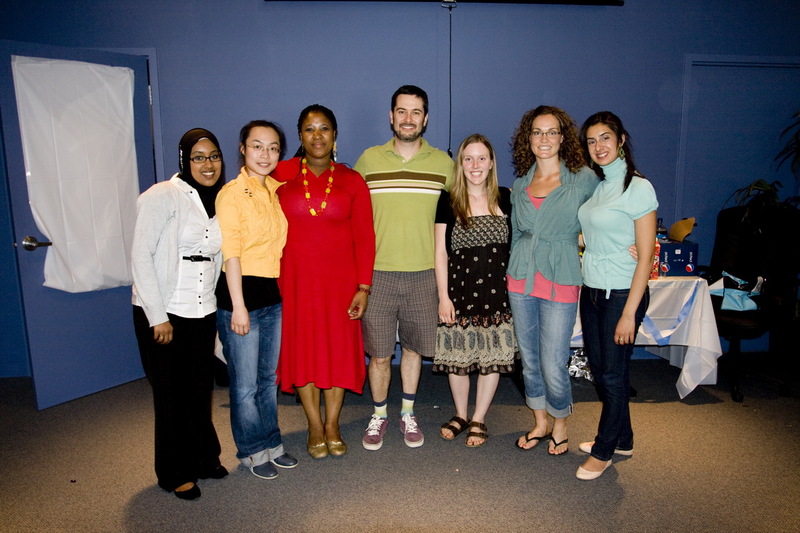 Sonja visited the APEAL Lab in the summer of 2011 during her doctoral training. Sonja worked on one project that investigated exposure to suicide as a risk factor for suicidality among Canadian youth, and another that studied the relationship between migraine headache and depression. 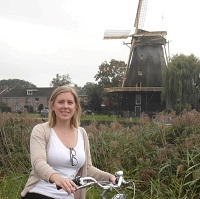 She is now an Assistant Professor in the department of Epidemiology at Erasmus University in the Netherlands. Yiye (Grace) Zeng was a biostatistician at the APEAL Lab. She worked on data analysis for several projects using the Statistics Canada survey data, specifically the National Population Health Survey (NPHS). Grace is currently working for the Government of Alberta as a Health System Analyst at the Ministry of Health.